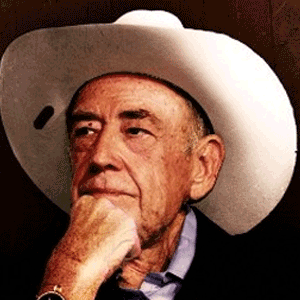 Poker’s living legend Doyle Brunson receives another honor as day 1B of the World Series of Poker Main Event begins. Poker Fans also receive a ME surprise. Brunson’s career is one of poker firsts. He was the first player to top the million dollar tournament winnings mark, he’s first to take home a WSOP Main Event and World Poker Tour title. Doyle is one of only two people to win WSOP bracelets in four consecutive years. In 2006, Bluff magazine voted him the #1 most influential force in the poker world. His latest first came prior to the start of day 1B of the WSOP Main Event, as Doyle was the first to have a bust of himself on permanent display at the Rio. WSOP Executive Director Ty Stewart started the Day 1B with a welcoming speech and a recap of the Brunson’s history with the WSOP. Stewart then unveiled a bust of the ten-time bracelet winner that the WSOP commissioned. “Think of it as the first step in a more tangible Poker Hall of Fame” Stewart remarked. As more than a 1000 entrants cheered, Stewart had another announcement as he held out a seat card for the Main Event with Doyle’s name on it. Doyle accepted the entry with his trademark smile, prompting more cheers from the players. Brunson then took his seat at the ESPN Feature Table. Earlier this summer, Doyle’s announcement that he would not be playing in the WSOP due to the long hours was lamented on Twitter and social media. The announcement that he was playing in the Main Event generated a corresponding amount of cheers and good wishes as Doyle began his run for his eleventh bracelet and third Main Event title. The Twitterverse was also quick to point out that Doyle actually took Hayden Fortini’s seat at the feature table. Fortini agreed to the floor’s request that he take Doyle’s assigned seat at the table.